As today is my anniversary (19 years!) I wanted to share this quote I saw a few weeks ago. It made me audibly say to myself “YES!” I love it and I love what it means. It means that in my marriage we show love and respect. We show safety and loyalty. We show forgiveness and joy. And, above all, we show happiness and that we enjoy living our lives TOGETHER! I’m not saying that we do all of these things perfectly all the time. Far from it. We argue, we disagree, we say mean things sometimes (me)… but we also laugh. A lot. 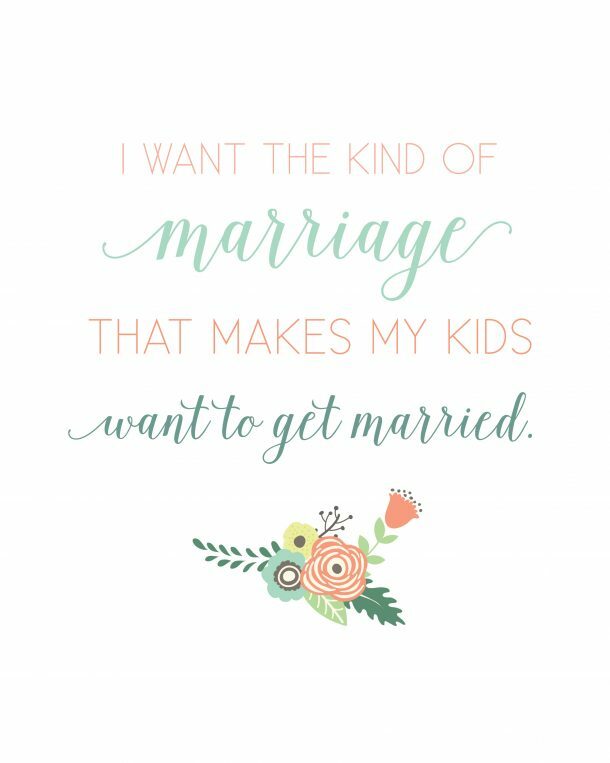 And my biggest hope is that my kids see that and want that too.